Social relationships draw young people to Bible study and church in Australia. 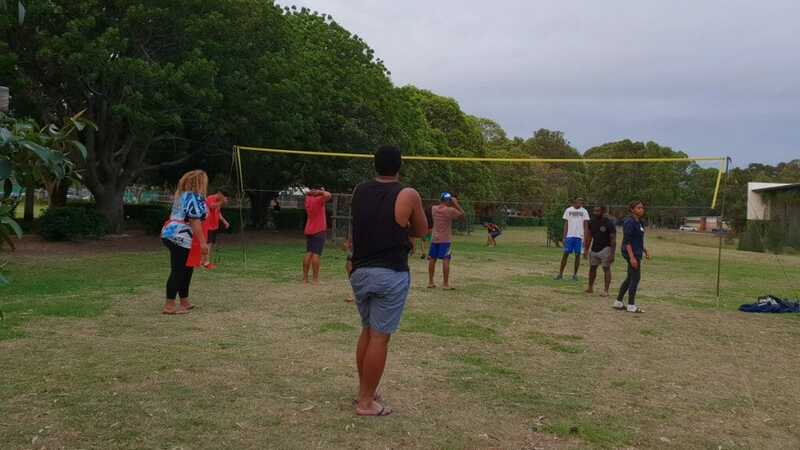 The Cabramatta Fijian Adventist youth group from Sydney, Australia, has more than doubled attendance in 2018 as a result of Bible study, prayer, and lots of volleyball. The youth are on fire for Jesus — they have reconnected with friends no longer attending church and are reaching out to youth in their local community. Youth elder Semi Ramatai said the group’s ideas might be considered a little unorthodox, but they have resulted in more young people attending church. “We discussed it as a leadership group and realized that we need to give the young people the space to do ministry their way,” he said. Bible study and prayer have been central to their activities. In March 2018, Litiana Turner from the South Pacific Division’s Discipleship Ministries Team provided training in the Discovery Bible Reading (DBR) method. The youth group members are using DBR for their small groups and have found that it has encouraged more and more young people to engage with the Bible. At the same time, they have been focusing on outreach — organizing volleyball games at a local park. It has been hugely popular and has enabled the youth to make connections with young people in the community who stop by after work to join in. Games are held every afternoon except Fridays and Saturdays. On Wednesdays, the participants stay around after the game for conversation, worship, and a meal. A buddy program has also been established, in which a member of the group is paired with a non-Adventist youth. They may meet up sometime in the week for a chat or communicate via text. It’s all about building relationships, which can then lead to discussions on spiritual matters. The youth have worked collaboratively with an attitude of acceptance and inclusivity. Young people recently ran a revival program that packed out the church. They hold prayer breakfasts before Sabbath School and are excited to see how God is answering their prayers. They have been overjoyed to see friends who had left the church now coming back and joining in the activities. The original version of this story was posted on the South Pacific Division’s Adventist Record news page.